How just is the EU, or: is there a ‘new’ European deficit? There is no substantive concept of justice behind the EU project. Justice (understand distributive justice) has been either left out entirely, or left to be taken care of by its member states (embedded liberalism paradigm). However, as it has become more than abundantly clear in the current crisis, this neglect is hardly justifiable. The problem of justice in Europe is in fact the problem of democracy: put simply, if we had democracy, the re-distribution in Europe would be also more just. 1. Let me address each of those two diagnoses in turn. The first question that the volume raises is whether the European project is truly devoid of a substantive conception of justice. One can respond to this inquiry only by looking at the EU’s institutional design. I will argue then that Europe is built around a substantive concept of justice – market justice. The fact that this concept of justice does not strike us as particularly just does not negate the claim. The EU has emerged as an entity of economic integration – an entity designed to put in place a common/single/internal market through ensuring free movement of goods, persons, capital, services and market regulation. The mainstream economic justification of the European project is then that the EU market will center on making the common economic pie bigger (for all), while the member states should redistribute the benefits within their respective communities. While there is much wrong with this embedded liberalism paradigm (e.g. Howse), most relevant for my account is its underlying supposition: namely, that markets generate wealth but do not re-distribute it between individuals, groups and regions. This is a problematic assumption. If legal realism has taught us one basic lesson then it would be that social institutions distribute. Laws distribute. Markets distribute. Opting for a certain institutional design, including its implicit or unarticulated elements, is always a positive choice. While the presentation of Europe as a ‘pie grower’, rather than a ‘pie re-distributor’, has become the cornerstone of the European consensus, this is not the only story that can be told about the dynamics of market distribution in Europe. For instance, Development Economics or Krugman’s Economic Geography offer counter-accounts suggesting that markets not only grow the pie but also re-distribute wealth among individuals, groups and regions. Additionally, in Gunnar Myrdal’s words, the relationship between the winners and losers is structurally linked: development and under-development do not happen on separate tracks. Articulating political institutions around such an understanding of the re-distributive dynamics sets a stage for a more robust solidarity in any community: the more fortunate ones (individuals, regions or member states) owe to those less fortunate participants in the market. The recognition of this dynamics has been also at the heart of the welfare state consensus. It has been however curiously absent at the European level – and despite growing economic divergences with every new wave of enlargement, promising to accentuate (often regressive) redistributive dynamics of the internal market. Where there has been some recognition of this trend in the EU’s institutional design, in particular in the form of so called ‘cohesion and structural funding’, this form of re-distribution has remained rather minimal. Certainly lower than what has been recommended by the Padoa Schippoa report commissioned by the Commission (1987), which suggested that a turn to single market needs to be offset with political redistribution. With the ‘end of history’ optimism in European legal and political scholarship, however, these lessons fell into oblivion – only to be resurrected relatively recently by Kukovec, Kaupa and Caruso. Hence, the fact that the EU legal- institutional design pays little tribute to re-distribution should not be interpreted as the lack of substantive concept of justice behind the EU project. Instead, it is a positive choices for a design which places market distribution – market justice – at its center. The favoured type of interventions into the internal market then are those of regulatory law (such as consumer protection), complemented with the concerns for inclusion (Somek) or access justice (Micklitz). If we lack the instruments of political re-distribution – which may be necessary for just-er distribution as argued for by various contributors – it has been a conscious choice for a particular form of distributive justice. 2. The second group of contributors to the volume stress that justice may not be the most helpful concept to discuss the problems that the EU is facing today. The critique is at least twofold. On the one hand, there is something hegemonic about each normative concept of justice, which takes up to determine that which is best left to the democratic process. On the other hand, the argument is that only an inclusive democratic process allows us to approximate justice. In any case democracy should thus be the first step toward a more just Union. I largely agree with those charges. The concept of justice is not specific enough to help us untangle the institutional injustice in the EU. Even elaborate normative theories of justice, such as Rawls ‘difference principle’, have little to say against problematic knowledge and (economic) theories that present the core distributive problem in Europe today. For instance, expert consensus for a set of austerity policies presented as being in the interests of us all (including those worse of), if bona fide, is in line with the difference principle. At the same time, as convincingly argued by Menendez, the risk of justice being hijacked for various hegemonic purposes is considerable. What I would like to suggest however is that a purely procedural (rationalist) account of democracy for the EU will not necessarily lead to a more egalitarian Europe. The democratic process does not always guarantee a more just redistribution. The most vulgar example would be to point to the fact that a median republican voter in the US is a member of the lower social class. People sometimes do not get their (material) interests right. For this reason any normative theory of democracy needs to account for the insights of sociology of knowledge: the importance of knowledge production and contestation in modernity, including the creation of institutions that can counteract the institutionalisation of hegemonic representations of reality. To conclude, the moralizing discourse of lender states vis-à-vis debtor countries in the EU is fed, among others things, by a ‘classical private law’ interpretation of the market, which sees markets as static (or even natural), in principle just and foremost benefiting us all in very much the same way. This interpretation of the internal market does not suggest that we owe something to those other individuals, groups or regions who share market with us. The winners take it all: they do not owe anything to those destitute, to less fortunate European member states or developing countries. De-institutionalising this understanding of market and market justice in the EU, which regrettably permeates much of its institutional design, is the core task for making the EU both more just and more democratic. If the economic advancement of the lender states is at least in part attributable to the access to the markets of the debtors, then the latter have a right to solidarity and political redistribution of economic benefits. Building solidarity – as a basis for political redistribution – in Europe from such premises would not be impossible: it is very much in contrast with the self-righteous attitude adopted by lender states today, and condoned by much of mainstream economic theory. 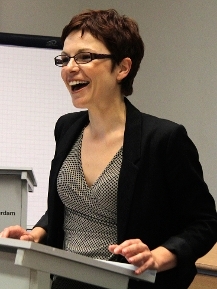 SUGGESTED CITATION Bartl, Marija: Maybe we just don’t like the Justice we see…, VerfBlog, 2015/6/12, https://verfassungsblog.de/maybe-we-just-dont-like-the-justice-we-see-2/.